Ideal For: Average to slower swingspeeds...mid to higher handicaps. Briefly: An absolutely fantastic-looking club with which golfers who swing at 85-95mph should gain a little distance. Those with faster swingspeeds might suffer a loss of control, however, and should opt for the SL290 or TL310. The Launcher XL270 is among the lightest drivers in golf and powered by the lightest shaft ever played on the PGA tour - the Miyazaki C. Kua 39 series. This means it’s engineered for maximum head speed, but its traditionally-weighted 460cc clubhead also provides amazing forgiveness. The 270 is also available in a Draw version, with heel biased-weighting and a slightly closed face for slice reduction. Players who have tested either version of the XL270 have experienced a real “Wow Factor” due to the effortless distance achieved. With one cold, grey drizzly day after another and winter dragging on an awful lot longer than it should have here in Bellingham (it still hasn't totally disappeared and now it's JUNE! ), the XL270 remained untried and untested for several weeks after it arrived. Besides not really wanting to go out in such inclemency, a test would have been largely irrelevant as the rain and cold would have combined to take a considerable chunk of yardage off any drives. This was profoundly irritating as I could see the latest of Cleveland's light-weight drivers was the best-looking yet - indeed, possibly the most handsome metal-headed, 460cc driver I'd ever seen. It just begged to be hit and, after a couple of months of swinging it in the garage, I was bursting to hit the thing. I eventually got the opportunity during a visit to Texas in May. There were no surprises...in a good way. Just from picking it up and swinging it idly at home, I'd sensed some speed (well, more speed than I typically generate) and knew if I made decent contact I'd probably get a few extra yards. 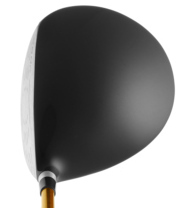 At 270 grams, this driver claims to be among the lightest on the market. It's 50g (about the weight of a golf ball) lighter than the Titleist 910D2 which is one of the heavier clubs on the shelf (many golfers might prefer the extra weight, of course) and about 15g (slightly less than a third the weight of a golf ball) less than the TaylorMade Burner SuperFast and Adams Speedline. Pick up both an XL270 and 910D2, and the difference is barely noticeable. Shut your eyes and turn the noise off in your head and you might discern that one is heavier than the other, but not immediately. Swing them both, one immediately after the other, and again you can barely perceive any difference. But put yourself on a launch monitor and you'll discover the XL270 is typically moving through impact a little quicker - about 3-4 mph quicker. (Yes, the quest for distance now hinges on some extremely well-concealed technology and, to be fair to Titleist, speed certainly isn't the only factor in determining how far you hit the ball). With so light a shaft (as mentioned above, the Miyazaki C. Kua 39 Series weighs just 39g), the danger might be a slight loss of control - it's all very well generating superior clubhead speed, but if you can't control the face angle at impact, that will not result in greater ball speed and, in turn, greater distance. And yes, the C. Kua 39 does possess 6.4° of torque which is about as 'torquey' as graphite shafts get these days. But don't worry; for the average golfer with a swingspeed of say 90mph, the difference between 4.4° and 6.4° is about as noticeable as the weight difference between the XL270 and TM Burner SuperFast. 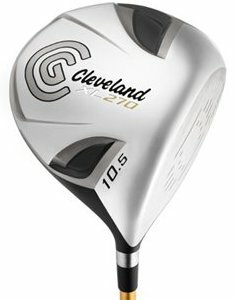 Okay, bottom line; what did all this science stuff do for my drives (I had the 10.5° club with a regular shaft)? Well, I hit the ball on a mid to high trajectory and was certainly able to carry the ball a few yards further with the XL270 than I have with any other club this year. On the flip side, I was not quite as consistent with it as I had been with the Nike MachSpeed Black or, perhaps, the Ping K15. 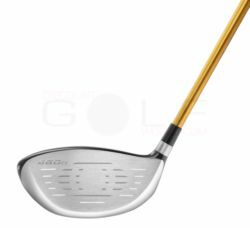 If you can swing a golf club at 100mph, I'd give the XL270 a wide berth and consider instead the TL310 which is 40g heavier and boasts a shaft with 3° less torque. Or how about the SL290 which is 20g heavier? 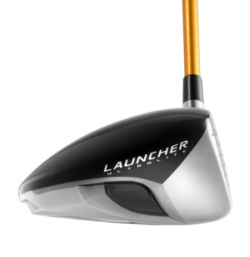 However, for the senior golfer, or 15+ handicapper, looking for whatever yardage gains he can get, the XL270 should be a very serious contender for a place in the bag.